Replacement of 3 Fluidized Bed Incinerators for Wastewater Treatment Plant. Upgrade of PLC & SCADA System Networks, Obsolete PLCs, & Local HMIs at 3 Wastewater Treatment Plants. 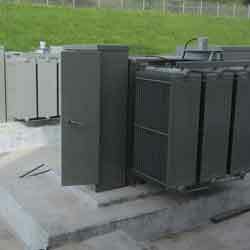 Replacement of Plant Substation, Switchgear, & 7 Motor Control Centers (MCCs). 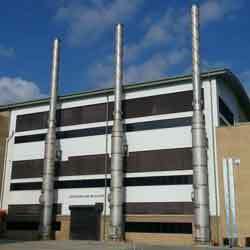 Replacement of Blowers with four 250HP High-efficiency Turbo Blowers. Sodium Hypochlorite Storage and Distribution System for Wastewater Treatment Plant Chemical Disinfection. ASE will review all prospective projects, but will only accept projects in which we feel that we can successfully complete on schedule, and on budget. If we feel that we do not currently have the resources to successfully complete a particular project, we will try to direct you to someone that can help you. Our long-term success is based on the success of each project that we complete. We will not sacrifice your project or our long-term success trying to complete projects for which we do not have the necessary resources. We review each project carefully, prior to submitting a proposal. ASE completed the detailed design for the Metropolitan Sewer District of Greater Cincinnati (MSDGC) SCADA Installs and Upgrades Project for the East Section Treatment Plants in July of 2012. 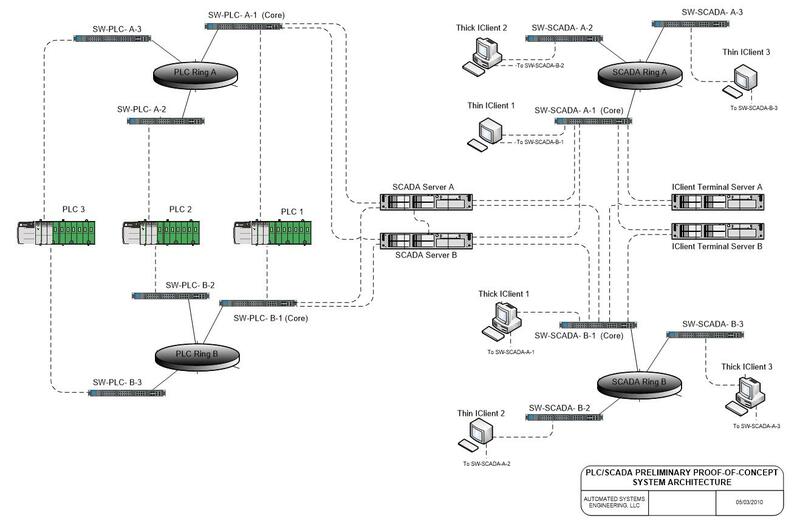 The plants included in the SCADA Upgrades were Little Miami, Polk Run, and Sycamore WWTPs. Design services included the upgrade of the plant-wide PLC and SCADA system networks as well as the replacement of all of the obsolete PLCs and local HMIs. ASE was responsible for the overall PLC and SCADA system network design. 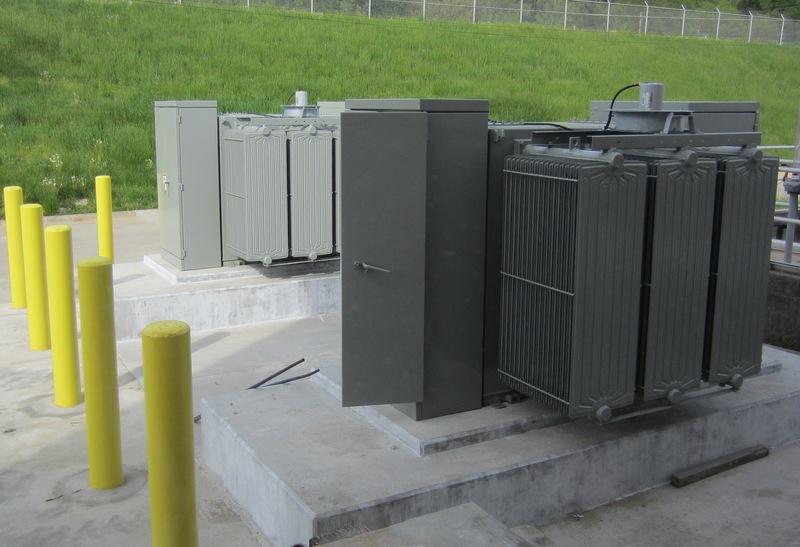 ASE completed the detailed design for the Metropolitan Sewer District of Greater Cincinnati (MSDGC) Muddy Creek Electrical Upgrades Project in 2011. The project included the upgrade of the entire power distribution systems at Muddy Creek WWTP, including the replacement of the plant substation, main plant switchgear, and the replacement of seven (7) Motor Control Centers (MCC) throughout the facility. New electrical rooms for the new switchgear and MCCs were also constructed. ASE was responsible for the electrical and controls design. ASE is currently working with MSDGC during the Construction Administration phase and is providing PLC and SCADA system programming for the Automatic Transfer Switch PLC replacement and power monitoring systems for the project. 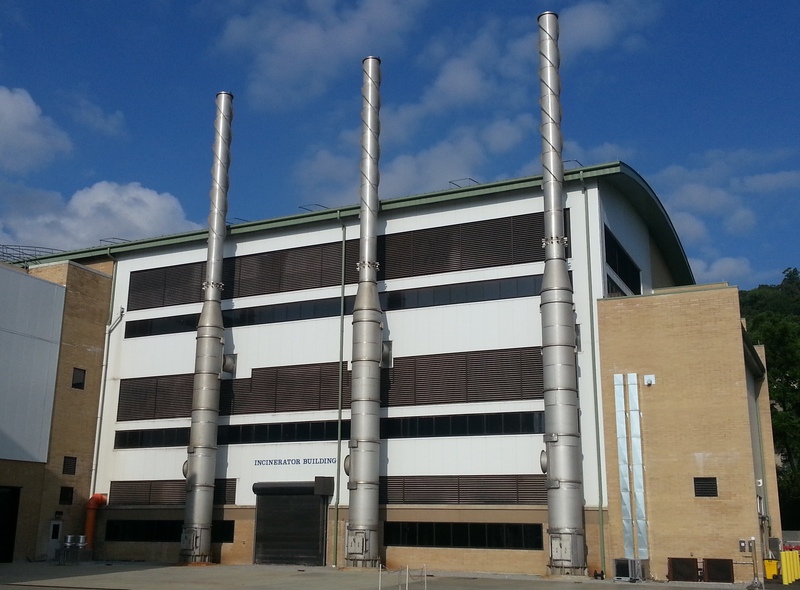 ASE teamed with Brown & Caldwell to provide engineering services for the Metropolitan Sewer District of Greater Cincinnati (MSDGC) Muddy Creek WWTP Blower Energy Efficiency Upgrades Project. The project included the complete replacement of the existing blowers with four (4) new 250HP turbo blowers, including all new electrical, instrumentation and controls. ASE provided the detailed electrical, instrumentation and controls design for the project. The project consists of a new Sodium Hypochlorite storage and distribution system for chemical disinfection. The project included four new Rockwell ControlLogix PLCs, a new CompactLogix PLC and an iFIX SCADA System. ASE was responsible for the detailed electrical, instrumentation and controls design. The design is complete and the project is currently under construction. ASE is now working together with another consulting engineering firm to provide the PLC and SCADA programming services and construction engineering services for the project. The project included a the upgrade of the waste activated sludge and dissolved air flotation thickening processes and a the complete upgrade of all electrical, instrumentation and control systems, including the replacement of the existing MCCs. The project utilized a new Rockwell ControlLogix PLC, DeviceNet, Foundation Fieldbus, and an iFIX SCADA system. ASE was responsible for the detailed electrical, instrumentation and controls design. The design is complete and the project is currently under construction. ASE is now working together with another consulting engineering firm to provide construction engineering services for the project. 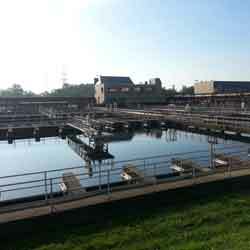 ASE worked with another consulting engineering firm on a Wastewater Treatment Plant Sludge Handling Project. The project consists of the complete upgrade of all electrical, instrumentation and control systems, including the replacement of the existing MCCs. The project will include a new ControlLogix PLC and an iFIX SCADA System. ASE was responsible for the electrical, instrumentation and controls preliminary design services. The preliminary engineering report is complete and ASE is currently in the detailed design phase of the project. ASE teamed with Burgess & Niple to provide detailed engineering and PLC and SCADA systems configuration services for the Metropolitan Sewer District of Greater Cincinnati (MSDGC) Little Miami WWTP 4-Mile Pump Station Reliability Improvements Project. The project included the upgrade and addition of multiple electric actuators, a new seal water system, HVAC systems replacement, and new electrical, instrumentation and controls. ASE provided the detailed electrical, instrumentation and controls design for the project. During the construction phase, ASE provided PLC and SCADA Systems configuration, systems commissioning, checkout, and startup services. Construction Administration activities related to the electrical and I&C upgrades were also provided by ASE. ASE teamed with Ribway Engineering to provide SCADA Systems Programming and Integration services for the Metropolitan Sewer District of Greater Cincinnati (MSDGC) Mill Creek WWTP Preliminary/Primary Treatment Improvements Project. The project included the complete upgrade of the Preliminary and Primary Treatment processes, including all new electrical and instrumentation systems. ASE provided the SCADA Systems Programming and Integration for the project. 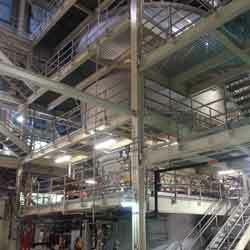 The project utilized Rockwell ControlLogix PLCs and GE Proficy/iFIX SCADA systems. ASE teamed with Jacobs Engineering to provide SCADA Systems Programming and Integration services for the Metropolitan Sewer District of Greater Cincinnati (MSDGC) Mill Creek WWTP Secondary Upgrade/Rehabilitation Project. The project included the complete upgrade of the Secondary Treatment process, including all new electrical and instrumentation systems. ASE provided the SCADA Systems Programming and Integration for the project. The project consists of installing a new Service Pump with a 1250HP Synchronous motor at the Water Works Main Pump Station. ASE was responsible for the detailed electrical, instrumentation and controls design. The design is complete and the project is currently under construction. ASE is now working together with another consulting engineering firm to provide construction engineering services for the project. 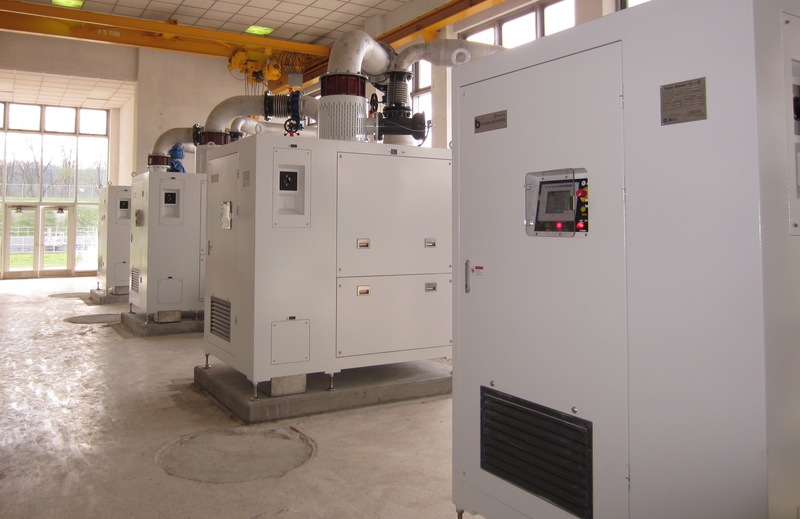 The project consists of upgrading two existing pumps to larger 450HP motors and replacing four existing starters with new Reduced-Voltage Solid-State Soft Starters. ASE was responsible for the detailed electrical, instrumentation and controls design. The design is complete and the project is currently under construction. ASE is now working together with another consulting engineering firm to provide construction engineering services for the project. ASE assisted another consulting engineering firm with Comprehensive Treatment Plant Audits for the two major water works treatment plants. ASE was responsible for physical condition assessments of process and electrical equipment. ASE provided services to field verify the existing electrical and instrumentation systems and make preliminary recommendations for system modifications and upgrades. ASE worked with another consulting engineering firm on a power reliability study for the Water Works. ASE provided services to field verify the existing power systems, developed a high-level one-line diagram of the existing systems, and made preliminary recommendations for power system modifications and upgrades. ASE worked with another consulting engineering firm on an MSD Pump Station Upgrade Project. This project included installation of a new remote pump station. ASE was responsible for the detailed electrical, instrumentation and controls design. The design is complete and construction is scheduled to begin soon. ASE provided engineering services to prepare a short circuit and coordination study at an MSD Wastewater Treatment Plant. ASE also be reviewed the existing backup power system at the Plant. ASE provided detailed instrumentation and controls design services to another consulting engineering firm for an MSD Pumping Station project. The system was designed to utilize Rockwell Automation s ControlLogix PLC with a Xycom HMI. Communication between the PLC and the MCC s will utilize a DeviceNet network. System communications between the PLC and HMI will be Ethernet. The project is currently under construction and ASE is assisting with construction engineering services. The project consisted of the installation of a wastewater flow equalization system. ASE was responsible for the detailed instrumentation and controls design to ASE for this project. The system was designed to utilize Rockwell Automation s CompactLogix PLC with a PanelView Plus HMI. Communication between the PLC and the MCC s and automated valves was based on a DeviceNet network. System communications between the PLC and HMI was Ethernet. The project consisted of the installation of a new county wastewater treatment plant. ASE provided the detailed electrical, instrumentation, and controls design services required to construct a new wastewater treatment plant. Project Scope of work included: Installation of all new electrical power distribution system, including a new 500KVA substation, a new CAT 500KW prime rated backup generator with closed transition switch to backup the entire plant, all new Rockwell pre-wired DeviceNet MCC s. All new control system utilizing Rockwell ControlLogix PLC based system with Genisis 32 HMI s. Ethernet was utilized for communications of PLC I/O Racks, HMI s, and valve actuators. ASE scope of work included detailed electrical, instrumentation, and control system engineering. The project consisted of the Upgrade of a municipal wastewater treatment plant. ASE provided the detailed electrical, instrumentation and controls design services required for this major plant upgrade project. Project Scope included major process upgrades, all new electrical switchgear, substation, MCC sections, variable speed drives, backup generator, instrumentation and control systems. ASE scope of work included the detailed electrical and instrumentation engineering, control system specification and design. Control system consisted of a Rockwell ControlLogix control system with RSView32 Operator Interface Screens. The ControlLogix System included ControlNet communications between I/O racks, Ethernet communications for the RSView32 operator interface screens, and DeviceNet for field devices, switchgear monitoring, backup generator control, starter and variable speed drive controls. The project consisted of a major expansion of a wastewater treatment plant. ASE provided the detailed electrical, instrumentation and controls design services required for this major plant upgrade project. The electrical power distribution system and plant controls were completely upgraded as part of the expansion. Installation of all new electrical power distribution system, including a new 2000KVA substation, a new 400KW methane generator, a new CAT 2250KW prime rated backup generator with continuous parallel switchgear to backup the entire plant, all new Allen-Bradley DeviceNet MCC s and Drives, and process controls. Complete upgrade of control system to new Rockwell ControlLogix control system using Genisis 32 HMI s. Ethernet communications were utilized for communications of HMI s, and Modbus communications were used for valve actuators. ASE scope of work included detailed electrical, instrumentation, and control system engineering. Installation of two (2) new sludge screw presses and associated equipment for a paper mill waste water treatment plant. Project Scope includes a new building to house the new equipment, new screw presses, rotary screen thickeners, flock tanks, new sludge blending system, pumps, conveyors, new control system, and all associated support equipment. 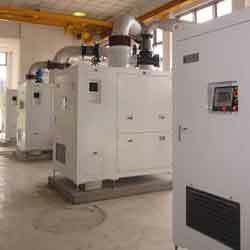 ASE scope of work included the detailed electrical and instrumentation engineering. ASE's scope of work began with developing a set of P&ID's for the entire waste water treatment plant from scratch; updating the P&ID's with all new equipment and process modifications, and developing a mass balance of the new system. ASE provided detailed E&I engineering for the entire project, including specifying and designing of a new control system with the ability to expand to include the entire waste water treatment plants future needs. Installation of a new ABB AC450 DCS system for the wet-end of a paper machine. Engineering for Phase 1 & 2 was completed by mill personnel. ASE assisted the mill with the Phase 3 detailed design, which included detailed engineering to convert all motors over to DCS control. ASE Responsibilities: Developed 480VAC and 2300VAC motor elementaries and I/O panel drawings, and provided construction management support. 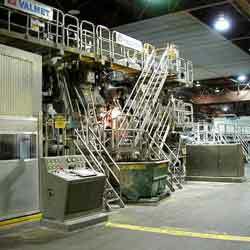 Detailed engineering to rebuild the wet-end of a paper machine utilizing compact wet-end technologies (POM systems). Project scope was to reduce the entrained air in the white water feeding the headbox. Two PomP model 400's were installed in the white water circuit. The piping system was fully evaluated to ensure that the hydraulic balance was maintained. The mass flow balance was developed to represent actual operating conditions of the system. The piping was evaluated to ensure that line sizes were adequate to provide a balanced system for all foreseeable operating conditions. Deliverables included: P&ID's, mass balance flowsheets, instrument specifications, and installation drawings. Preliminary engineering and development of a capital cost estimate to rebuild the wet-end of a paper machine utilizing compact wet-end technologies. The project scope included the following new equipment: a POMix, POMp, POM head tank, seal tank, fan pump, machine screen, johnsson screen, excess white water chest, all new cleaners and associated pumps, MCCs, DCS and instrumentation. The following systems were to be modified: the blending system, refining systems, dye delivery systems, and broke system. ASE personnel provided process, electrical and instrumentation preliminary engineering and cost estimating for the project. Preliminary engineering and development of a capital cost estimate to evaluate an entire paper machine. Scope included evaluating and making recommendations to convert the machine from a pulp machine into a fine paper machine. The project scope included the following new equipment: headbox, gauging system, profiler, moisture control system, dye system, paper machine AC drives and gearboxes, size delivery system, cleaners, refiner, MCCs, DCS, and re-instrumentation of the entire machine. The following systems were to be modified: the blending system, size press, winder, saveall, machine white water systems, broke system, and hole detector. ASE personnel provided process, electrical and instrumentation preliminary engineering and cost estimating for the project. Installation of a new 5000 gallon coating makedown system. The batch coating makedown system included the ability to add 17 ingredients, with multiple recipes, 2 new storage tanks, and a run tank system under the paper machine. Controlled with a Rosemount RS3 DCS and all new instrumentation. Responsibilities: Detailed Instrumentation engineering, MCC room expansion, and startup support. Installation of a new 200,000 lb dry calcined clay storage silo and delivery system. Controlled with a Rosemount RS3 DCS, a new unloading control panel, and all new instrumentation. Responsibilities: Detailed Instrumentation engineering, and startup support. Replacement of an existing Modicon 484 PLC with a new Rosemount RS3 DCS system, controlling a coating makedown system for a paper machine. The batch coating makedown system included the ability to add 15 ingredients, with multiple recipes. Controlled with a Rosemount RS3 DCS, and all new instrumentation. Responsibilities: Detailed Instrumentation engineering. Installation of a new Rosemount Delta V DCS system for the wet-end of a paper machine. Phase 1 included detailed engineering to control stock blending from the ABB DCS. Phase 2 included system design to connect all wet-end controls to the new Delta V DCS. Responsibilities: Wet-end system audit, P&ID development, system architecture & and I/O panel design, refiner starter control upgrades. Construction of a new fresh water treatment plant including 6 new fully automated water softeners. Controlled with a new Allen Bradley PLC-5/40C, two 10.5" TCP Quickpanel Operator Interface Panels, a new PLC control panel, and all new instrumentation. A PLC interface from the Allen-Bradley PLC to a Rosemount RS3 DCS, along with two Quickpanel (TCP) operator interface panels were utilized for a operator graphics, event logs, and alarming. Responsibilities: Detailed PLC system and control panel engineering, PLC programming, operator interface programming, DCS configuration, and startup support. Installation of new three stage screening system with throughput capacity of up to 350 TPD. The new screening system included the installation of 4 new Voith Screens to replace 11 existing Finch Screens, all new screen feed pumps and piping, all new instrumentation and controls. Controlled with a Rosemount RS3 DCS. Responsibilities: Detailed E&I engineering, and startup support. Installation of new controls for an existing dryer condensate system on a paper machine. Controlled with a Rosemount RS3 DCS, all new level transmitters and valves. Responsibilities: Detailed Instrumentation engineering, and startup support. Complete audit of all PLC's in a paper mill facility. Documentation included a full inventory of all 57 PLC's within the mill (including processor type, I/O card types, power supplies, programming software requirements, etc.). Identified which Hardware was no longer supported by the manufacturer, and helped develop a plan to replace legacy systems. Developed a plan to address Y2K concerns with all hardware and software. Upgraded PLC programming software to a Y2K compliant version. The PLC database was also used to identify storeroom items that were no longer needed, and uncover potential problems with existing hardware incompatibilities. Replacement of an existing PLC with a new Allen-Bradley PLC 5/40C for floatation oven controls on a paper machine. PLC/DCS Interfacing via DH+. Mapped the I/O from the PLC to the Rosemount RS3 DCS for graphics displays, event logging, and troubleshooting. Responsibilities: PLC programming and DCS configuration. Installation of a new stretch wrapper in an existing conveyor line. Interfaced the new wrapper Allen-Bradley MicroLogix 1000 PLC with an existing Modicon 484 PLC. Responsibilities: Detailed electrical and instrumentation Engineering and PLC programming. Installation of a new Rosemount RS3 DCS system, new control room, and re-instrumentation. A PLC interface from the Rosemount RS3 DCS to a Modicon 984-120 along with a Quickpanel (TCP) operator interface panel was utilized for a local pulper control panel. Responsibilities: Scope development, capital cost estimate, detailed engineering, construction management, DCS configuration, operator interface and PLC programming, and startup support. Installation of a new Voith calender stack and ABB thermal profiler, along with associated equipment. Controlled with a new Allen Bradley PLC 5/40C, a TCP Quickpanel operator interface, an existing Rosemount RS3 DCS and a Rosemount PLC interface. Communications utilized were: A-B DataHighway Plus, RS3/PLC interface, and ABB serial communications. Responsibilities: Detailed E&I engineering, construction scheduling, PLC programming, operator interface programming, Rosemount PLC interface programming, and startup support. 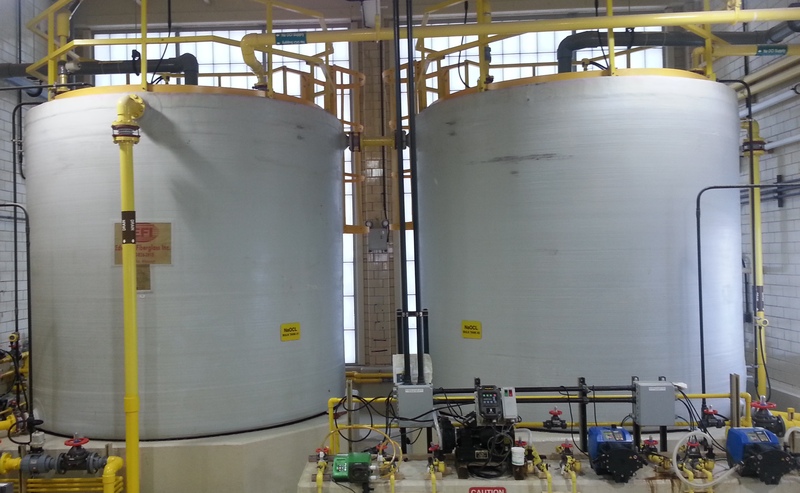 Installation of a new Bentonite makedown system, two new starch cookers, and the upgrade of many other systems to DCS control utilizing new instrumentation and MCCs. Controlled with an existing Rosemount RS3 DCS system with new remote I/O, as well as smart instrumentation. Responsibilities: Detailed electrical and instrumentation engineering. Installation of a new Rosemount RS3 DCS system, new control room, and re-instrumentation. Responsibilities: Scope development, capital cost estimate, detailed engineering and startup support. Upgrade of boiler feedwater system to DCS control. Controlled with an existing Bailey Infi90 DCS. Responsibilities: Detailed engineering. Controls documentation for two existing 100,000 lb/hr boilers. Boilers were converted from coal fired to gas/oil burners. The boilers are controlled with local Bailey controllers and tied into a Bailey Infi90 DCS via module bus for data acquisition. Responsibilities: Developing P&ID's, loop sheets, control panel drawings, and calibration sheets. Replace the existing PLC and local control panel with Rosemount RS3 DCS controls for an existing starch cooker. Add additional field devices and upgrade the existing field instrumentation where necessary to automate the system. Responsibilities: Detailed electrical and instrumentation engineering, sequence and logic diagrams, and construction scheduling. Replacement of an existing PLC on a CF Coater with a new Modicon 984 PLC. Responsibilities: PLC specification, design, programming, and startup support. Installation of a new Valmet press section, Valmet dryer hoods, tail cutter, couch pit, and vacuum systems. Controlled with a new Allen Bradley PLC 5/40C, two TCP Quickpanel operator interfaces, an existing Rosemount RS3 DCS with new Remote I/O and a Rosemount PLC interface. Communications utilized were: ControlNet, A-B DataHighway Plus, A-B Remote I/O, RS3/PLC interface. Responsibilities: E&I construction scheduling, DCS configuration, PLC programming, operator interface programming, Rosemount PLC interface programming, and startup support. Installation of a new BTG size press, Solaronics IR dryer, Spooner air-turn and air-bar, Fibron threading system, and Wesspat rope threading systems. Controlled with two new Allen Bradley PLC 5/40Cs, three TCP Quickpanel operator interfaces, an existing Rosemount RS3 DCS with new Remote I/O, and a Rosemount PLC interface. Communications utilized were: ControlNet V1.0, A-B DataHighway Plus, A-B Remote I/O, RS3/PLC interface. Responsibilities: E&I construction scheduling, DCS configuration, PLC programming, operator interface programming, Rosemount PLC interface programming, and startup support. Rebuild Wet-End of Paper Machine, including: a rebuilt saveall, new screening and cleaning systems, a new Valmet headbox, addition of Measurex CD weight and moisture control systems, new DC Drives (Couch, First and Second Presses). Controlled from a Measurex DCS system. Responsibilities: Scope development, study and capital cost estimate, detailed E&I engineering, construction management, and startup support. Capital cost estimate for the instrumentation portion of a full paper machine rebuild. New equipment to include a new approach flow system, a new headbox and table, new steam and condensate system, and dryer hoods. Rebuilt equipment to include the fordrinier table, the press section, the vacuum system, the dryer section, and the size press. Controlled with an existing Measurex DCS system. Replacement of an existing Rosemount Diogenes DCS system with a new Rosemount RS3 DCS system. Detailed E&I engineering. Installation of three new Nash vacuum pumps w/1000 HP motors, along with associated equipment. Controlled with an existing Rosemount RS3 DCS system with new remote I/O, as well as smart instrumentation. Responsibilities: Detailed electrical and instrumentation engineering. Installation of a TECH air flotation dryer. Analog controls from a Rosemount RS3 DCS and discrete controls from a new Modicon 984 PLC. Responsibilities: Detailed engineering, PLC specification, design, programming, construction management, and startup support. Installation of a new unwind stand, 200 HP DC drive, new operator interface panels, relocation of existing benchboard, and communications between Automax DCS, Modicon 984 PLC, and Quickpanel (TCP) operator interface panels. Responsibilities: Detailed E&I engineering, PLC and operator interface programming, construction management, and startup support. Rebuild and relocate 190" winder. New equipment included: Valmet slitter section, dual spreader, automatic threading system, Reliance DC drives, and operator benchboard. Controlled from on a Modicon 984 PLC. Responsibilities: Detailed E&I engineering, PLC programming, construction management, and startup support. Installation of a 1000 HP Beloit DD refiner. Controlled with a Rosemount RS3 DCS. Responsibilities: Detailed instrumentation engineering, sequence and logic diagrams, and startup support. Installation of a 600 HP Nash vacuum pump. Controlled with a Rosemount RS3 DCS. Responsibilities: Detailed instrumentation engineering, and startup support. Installation of (3) Kady Mill Mixers, calcium carbonate and latex storage systems, and all associated instrumentation and controls. The majority of the controls were through a new Foxboro DCS system, and others through new local control panels. Responsibilities: Detailed E&I engineering. Preliminary engineering including assistance in the DCS specification and vendor selection. Installation of Rosemount remote I/O. Responsibilities: Detailed engineering, DCS configuration, and I/O checkout. Documentation of an existing undocumented PLC program prior to the hardware replacement. Upgrade of an existing secondary fiber system. Controlled from a Measurex DCS system. Responsibilities: Detailed E&I engineering. Installation of a 265 TPD OCC system. Controlled from a Valmet DCS system. Responsibilities: Detailed E&I engineering. Installation of a 300 TPD cleaning and screening system. Controlled from a Valmet DCS system. Responsibilities: Detailed E&I engineering, and DCS factory acceptance testing. New hydrapulper operator benchboard, field instrumentation and valves. Controlled from an A-B PLC5. Responsibilities: Detailed E&I engineering. In addition to the projects listed above, ASE also has many years of experience with various systems while working in other industries. Additional project descriptions are available upon request.